This year would be one of the best looking line ups of retail products we’ve done. Rob is very happy with the quality – they look really good. 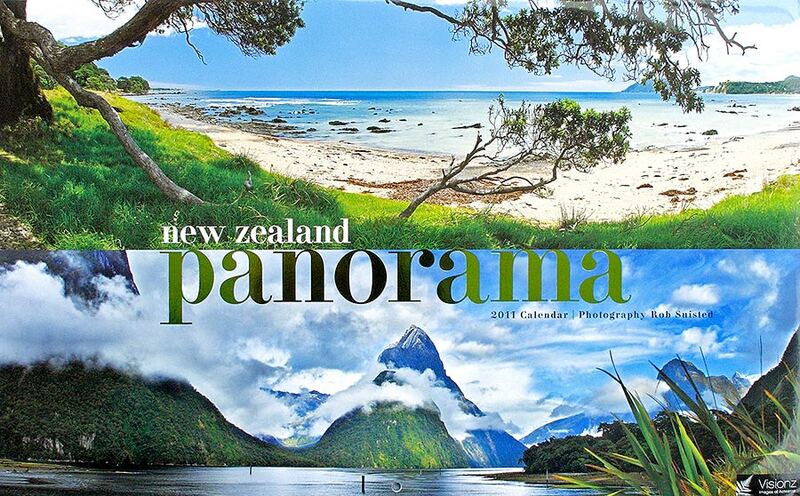 The New Zealand Panorama title is especially delicious – full of his heartfelt favourite panorama images. It’s that time already – calendars for 2011 are starting to appear in shops. It seems earlier and earlier each year. 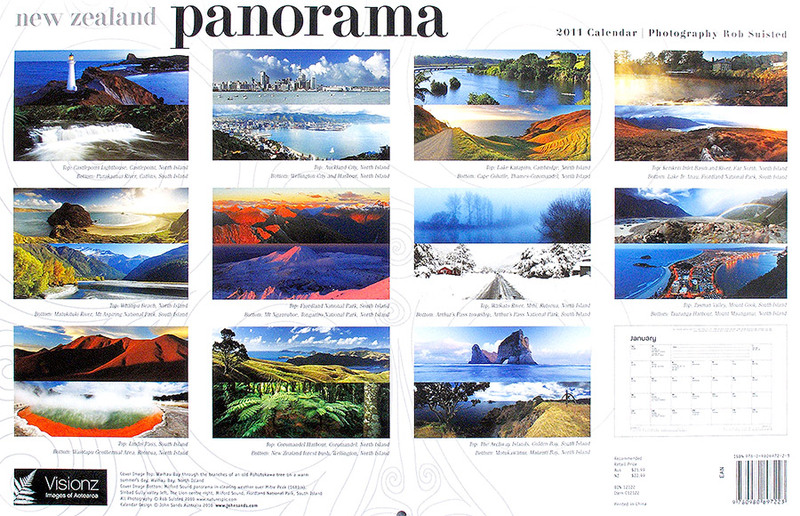 We particularly like the NZ Panorama title. 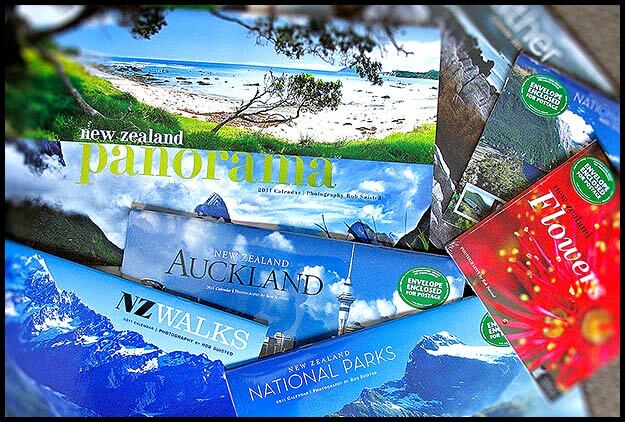 It was developed with John Sands based on the large collection of quality New Zealand panorama stock photos that Rob has created over the last few years. It’s a large calendar, and with metallic embossing on the front it looks great. Have a closer look. These should be appearing in stores mid August. 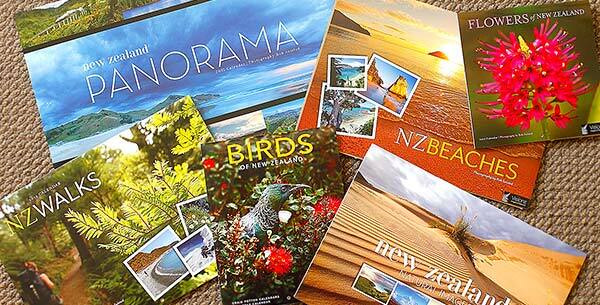 For your info, we have a massive collection of images perfect for NZ calendar production. The calendars above are publically available in stores, but we also create numerous specific in house titles directly with companies, such as banks, insurance companies, supermarkets, consultancies etc. 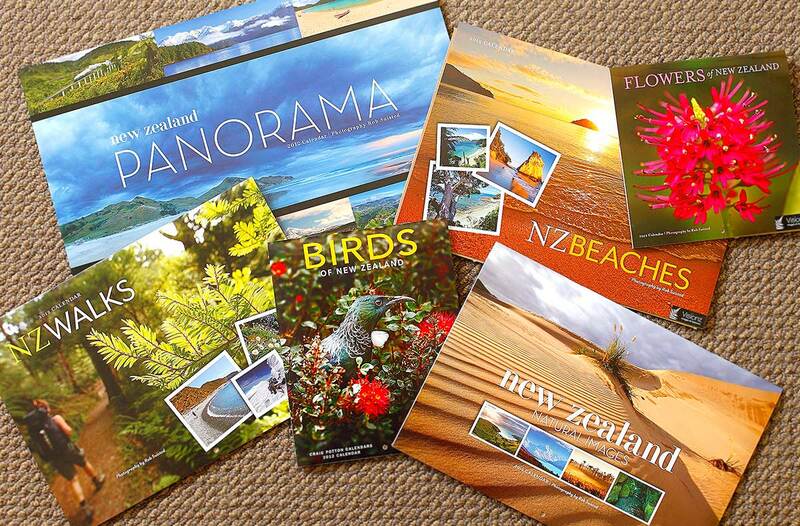 Please contact us if you have a calendar project in mind; they are a great full year promotional tool. 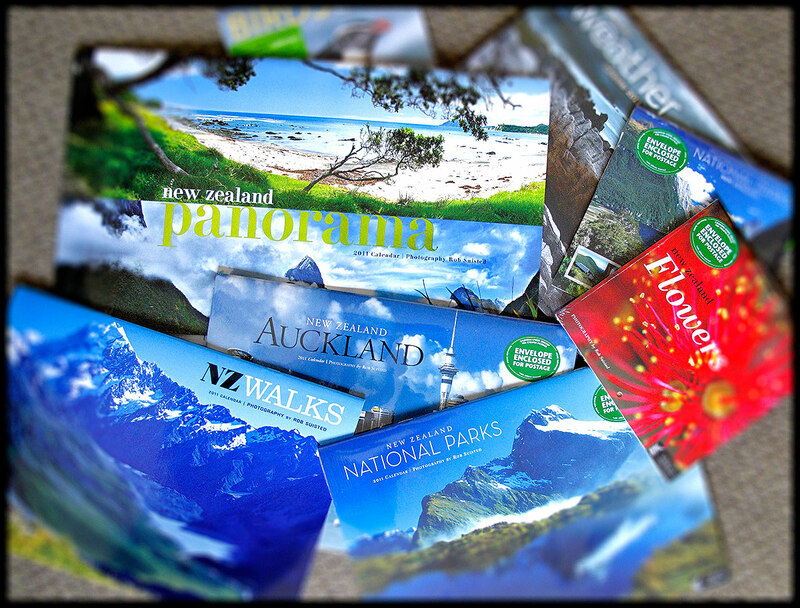 You're browsing entries tagged with new zealand stock photos at Nature’s Pic Images Blog.